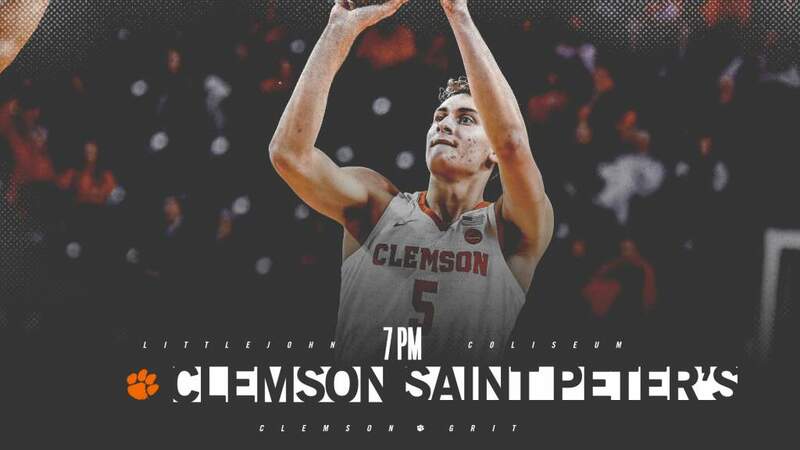 🏀⏰ Tipoff Time – 7 p.m.
• Clemson has never faced Saint Peter’s but the Tigers are 12-0 all-time against members of the Metro Atlantic Athletic Conference. • Clemson has only endured one other two-game losing skid dating back to the beginning of the 2017-18 season. • Marcquise Reed on pace to become 11th player in program history to amass 1,000 points, 300 rebounds, 200 assists and 100 steals. • Shelton Mitchell surpassed the 950-point mark in his career last time out against Nebraska. Mitchell remains on pace to become the 13th player in Clemson history to amass at least 750 points and 325 assists. • Marcquise Reed is on pace to eclipse 300 career rebounds as a Tiger. He currently has 282 rebounds in his Clemson career. • Having already surpassed the 1,000-point mark and the 200-assist mark and 100 steal mark, Reed could become just the 11th player in program history to achieve 1,000 points, 300 rebounds, 200 assists and 100 steals at Clemson. • The last player to accomplish this feat was Trevor Booker (2006-10). 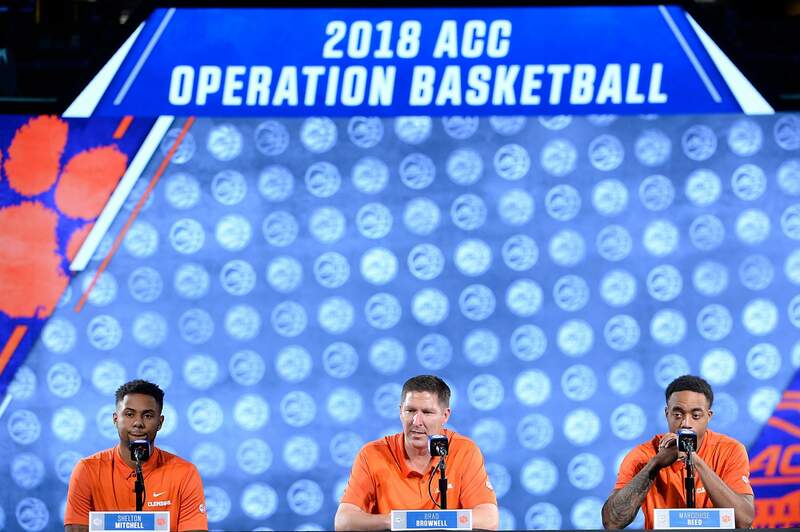 • Brad Brownell announced the signing of three student-athletes for the 2019-20 season: Al-Amir Dawes, Chase Hunter and Alex Hemenway. To view the release in its entirety, click HERE. Road closure will begin at 4:45pm starting at the President’s House and down College Ave. We are encouraging those attending the basketball game to use Perimeter Road and letting you know they will be turned onto Cherry Road towards Perimeter Road should they be on Hwy. 93. 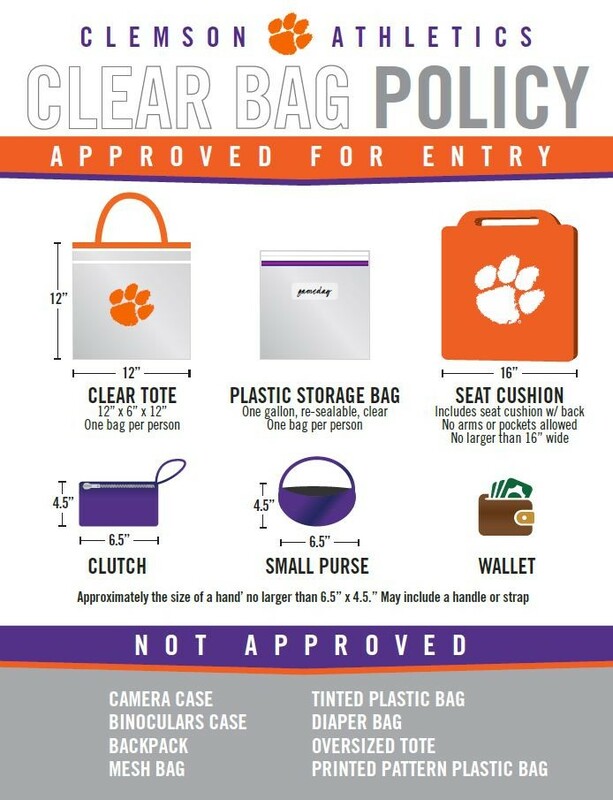 For the 2018-19 season, Clemson Athletics will implement walk-thru metal detectors at all entrances to Littlejohn Coliseum. 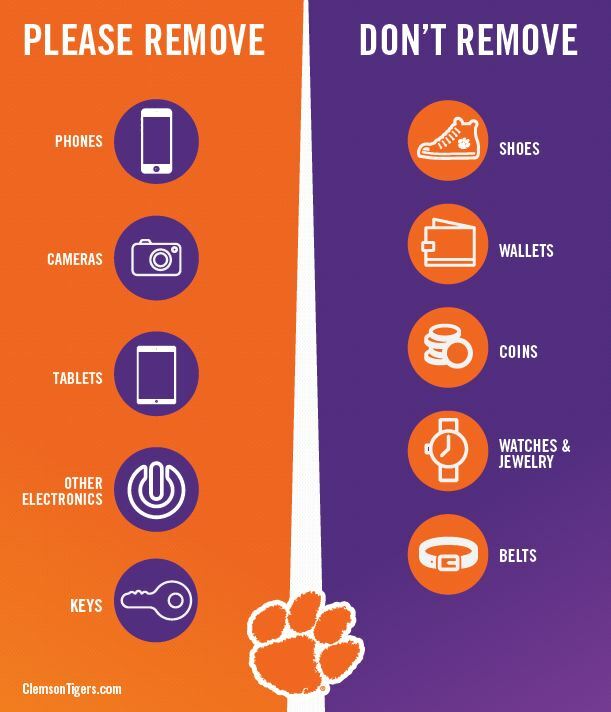 Fans will be required to remove keys, cell phones, cameras and other electronics from their pockets prior to walking through metal detectors. Shoes, coins, wallets, belts an jewelry will not need to be removed. Fans who either have a relevant medical condition or do not feel comfortable walking through the metal detectors can notify event staff and participate in an alternative screening process. The addition of the walk-thru metal detectors will result in additional time need to enter Littlejohn Coliseum, so please plan accordingly. Clemson officials will be working throughout the season to ensure that this additional time is kept to a minimum. Beginning Nov. 4, S.C. Highway 93 on Clemson’s main campus will be reduced to one lane from College Avenue to Williamson Road due to an ongoing campus utility project. Only westbound traffic toward Williamson will be allowed to travel through this area. Please plan accordingly and allow additional travel time on your way to campus and on your drive back home. Sidewalks will also be closed adjacent to Highway 93 in this area. Highway 93 will be restored to four lanes of traffic during all home football game days. This project will continue into 2019.